As many of you are aware, the State computer experts’ testimony wasn’t videotaped, so we were unable to hear it live. This was disappointing because it’s some of the most important testimony of the trial. Now that I’ve had an opportunity to read that portion of the transcript, I would like to share some of the key points from it. 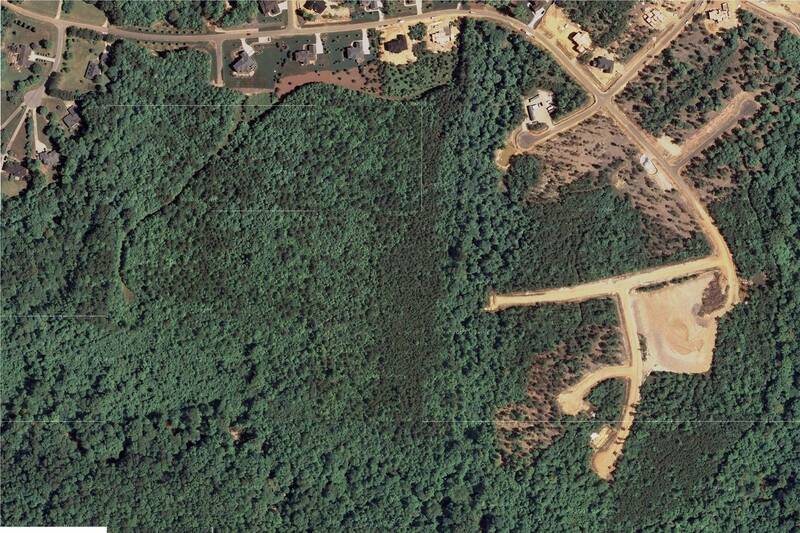 To begin, the State alleged that Brad did a Google map search of the area where his wife, Nancy was later found dead. 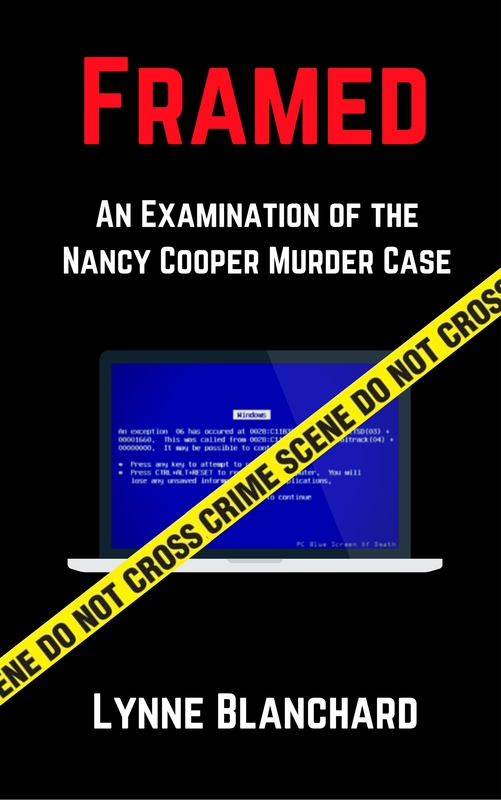 They allege that he performed the search at approximately 1:15 PM at his Cisco office the day before Nancy disappeared. Special Agent Chappell described how he found the temporary internet files related to the search and how he believed the screen would have been zoomed in at the time of the search. I went on to read the rest of his direct testimony and then the defense questioning. There is a lengthy discussion about the specifics of the search itself as well as considerable questioning about how he and Agent Johnson addressed the tampering allegations made by the Defense. For now, I would like to focus on how the agents proceeded to investigate the allegation of tampering because I don’t think many people understand how poorly they handled it. This was the only evidence used to convict Brad Cooper and the experts did next to nothing to either verify or rule out tampering on the computer. Agent Chappell wrote an anonymous, undated report titled ” Refuting the Claim of Evidence Tampering” that was filled with inaccuracies about what occurred on Brad’s computer. Note that during the trial the Defense was finally told the identity of the author. Although there are many inconsistencies with both his testimony and the report, I will highlight some of the key items that stood out to me. The timestamps – the 4th time stamp value (entry modified category) showed multiple timestamps as invalid. It is significant that Agent Chappell neglected to mention this in his report, especially since Agent Johnson included in his report (pg. 70) that one possible explanation for invalid timestamps to appear would be the placement of a CD or something from an external source on the machine – a possible indication of tampering. (pg. 6) Also, it’s important to understand that ALL files associated with the search had invalid timestamps, 100% of them. But this didn’t raise red flags to these investigators! Why is this so significant? Typically when investigators find incriminating evidence on a computer, such as a Google search like this, it is an important component in the handling of the evidence to verify when and by whom the search was performed. One simple and common way to do this is to subpoena the company where the search originated – in this case – Google. Using the cookie, Google would be able to easily supply law enforcement with the time of the search, the date of the search and the IP address it originated from. But conveniently, there is NO cookie from that search to track! Hypothetically, if one were to plant evidence on a computer to frame someone, they would be certain not to leave behind a cookie, because it would certainly be traced back to the person who planted it, NOT to the victim of the framing! Is this perhaps the reason that law enforcement never subpoenaed Google for the cookies? Even though no cookies were associated with the search, they could have tried to use later cookies to trace the Google activity from earlier. THEN on re-direct, prosecutor Zellinger suggested that one wouldn’t expect to find a cookie if the person had visited the site recently – that a new cookie wouldn’t be created. Agent Chappell agreed, knowing that additional Google cookies were created the following day! It is absolutely untrue that there shouldn’t have been Google cookies for July 11th. So let’s think about this – Google searches on 7/10 – cookies found. Google searches on 7/12 – cookies found. Google searches on 7/11 – NO cookies and that didn’t raise any red flags to them? Of course it did. It had to! But they went right along and presented this so called “evidence” as if it could be trusted! They didn’t look at any router logs (pg. 59) or make any attempt to retrieve them from Cisco to try to verify the search. The registry keys were last set at a time when Brad was already out of the house on 7/16. Agent Johnson admitted that it is easy to change the time on a computer to make it appear that certain activity occurred at a certain time. The index.dat files were modified on 7/16 but there was no mention of this in the report. Among the 600+ files that were modified after police took custody of the computer, some of them were security files. Agent Johnson could not explain why they would have been modified, and it wasn’t due to some type of update because the changes occurred at varying times. Even though the State knew the Defense made allegations of tampering well before the trial, Agent Chappell didn’t even write up a (inaccurate) report until a month before he testified, although it wasn’t dated so who even knows when it was written. It’s clear this was an afterthought to throw something together to make it appear as if they took the tampering allegation seriously. One can only conclude that there was no genuine attempt made by these experts to rule out tampering. The reports are completely inaccurate and what’s most upsetting about it is the fact that they were written by so called “forensic experts”. Agent Chappell was permitted to testify about the alleged tampering but Jay Ward wasn’t, even though he has many years of experience investigating networks for signs of intrusion. We didn’t get to hear much about most of his findings. Why? Because he didn’t have a “forensic” certificate, which by the way can be purchased now for $500 online. Anyone can get one. Jay knew exactly what to look for to identify signs of intrusion and tampering and he spent a great deal of time investigating the computer and log files because that is his area of expertise. The FBI agents in this case are likely skilled at using forensic tools to extract and investigate data from computers. After reading about their forensic experience, it is clear that they are not experienced in investigating for signs of intrusion and tampering. The defense expert IS, but the judge refused to see that. If the prosecutors were ethical people, I believe they would have hired someone like Jay Ward to thoroughly go over the computer. This was something to be taken very seriously but they chose to downplay it and do all that they could to prevent the jury from hearing about it even though this would determine a man’s fate. They had to “win” so they didn’t play fairly. They didn’t do everything possible to seek the truth about the tampering and to seek the truth about the Google search. It is the responsibility of the prosecutors to seek the truth, not to “win at all costs”. After reviewing all of this, I’m even more puzzled about the guilty verdict. Even though the jurors weren’t able to hear from Jay Ward or Giovanni Masucci, I believe there was enough evidence of tampering revealed during cross examination of the State witnesses. We can only hope that Brad will soon get another chance to prove what is already obvious – the computer was tampered with, the files were planted, and Brad was framed. Great article zeroing in on all of the many discrepencies and total failure of the prosecutions office tp properly investigate the who/what/when/where of the “google search”….just incredible that they routinely subpeona records from Google – but didn’t in this case. Why you may ask? Simple – in their rush to judgement, they (CPD) made a decision to plant it (the CPD detectives, most likely at Bazemores direction) afterall – they “had” their man. The mistake they made was that they just assumed he really was guilty and expected to find the evidence of his involvement, They NEVER gave a second thought that there would be no incriminating evidence of Brads involvement to further corroborate the CPD’s planted search, and cement his guilt. In reality – most all testimony was exculpatory instead…but at that point there was no turning back. What a disgrace to this community and at the expense of putting an innocent man in prison for life. It certainly wouldn’t surprise me if that’s what happened. After all, Jessica Adam had already informed them that the Coopers used ALL detergent, not Tide and that Nancy wouldn’t go running without telling her. It turned out to be lie after lie from that woman but she steered the entire case. Oh the dangers in listening to a busybody trouble making “friend”. The real disgrace in all this was the complicity of the presiding judge in the case, Paul Gessner. He should have been outraged at the conduct of the Cary Police and the prosecutor’s office for their deceptions and “mishandling” (tampering?) of evidence. Boz Zellinger’s arguments in front of this judge were clearly disingenuous and misleading to Gessner making him appear to be the fool he is. Clearly Gessner’s rulings about nearly everything in the case were to favour his belief in local law enforcement as he is a former cop himself. It is very scary to me that such a man still presides over serious cases in Wake County courtrooms. Excellent post, Lynne. This is the most important part of the trial testimony, and it certainly shows deception on the part of the FBI agents and/or lack of qualifications. Robert and Jim both make great and relevant points above, about the police rush to judgement and the disgrace of the judge (a former cop and prosecutor) who ALLOWED this garbage testimony in his court! It’s just incredible that the FBI agents were considered qualified to do forensic computer examinations and the defence witnesses were both barred from testifying in front of the jury – one for “lack” of qualifications and the other because the prosecution didn’t have time to prepare for cross examination? Both the defence witnesses were eminently more qualified than the FBI agents. It’s frightening to see the lengths that the “system” (police, DA, judge) will go to in order to railroad an innocent man simply because the investigation was misdirected by Jessica Adam from the very beginning. I still wonder what her motivation in this case was, it certainly seems to be more than a concerned friend, as though she were trying to cast suspicion away from other possible theories and suspects. You need to realize Judge Gessner’s reason for his actions during this trial. Judge Debra Sasser held a hearing and ruled that Brad’s children were to be immediately removed from his custody and given to Nancy’s family. Brad was not informed of and not allowed to attend the hearing. At the hearing, Brad was accused of starving Nancy and the children, not giving Nancy money for food, being selfish and only caring about himself, and being an unfit father. As you recall, it was revealed later that Nancy was extremely fit and well nourished, she had a new BMW, she had a collection of Tiffany jewelry, she had a large credit card debt, and she frequently left the children with Brad. As a result, Judge Sasser committed political suicide. If Brad were acquitted, Judge Sasser would look like a fool and probably lose her next election. As such, she would also lose a substantial retirement income. Judge Gessner simply did his friend Judge Sasser a tremendous personal favor by working diligently to insure Brad Cooper’s conviction. It is that simple.